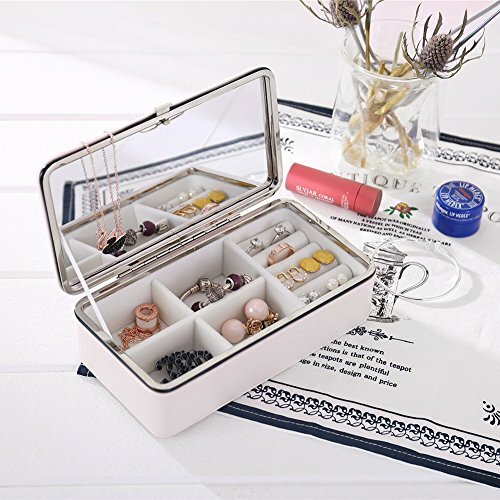 A fancy, elegant and professionally designed jewelry travel box, this lovely and attractive item of jewelry display provides a most efficient and impressive way of storing and presenting all kind of items of jewelry in one single place! 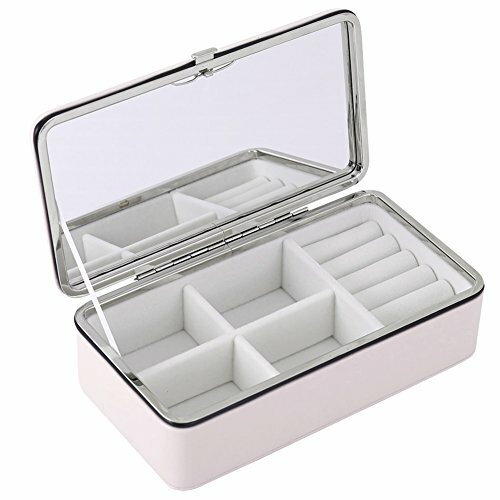 The box is made out of durable and resilient material and it’s also covered in a fine PU leather for a more stylish look. 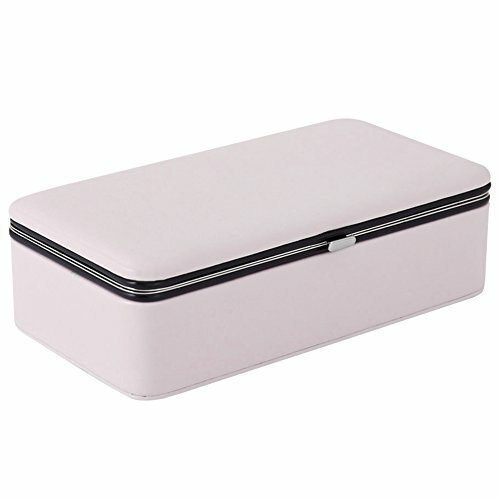 It is sporting a wonderful creamy white color, yet you can also get the pastel pink colored version too! 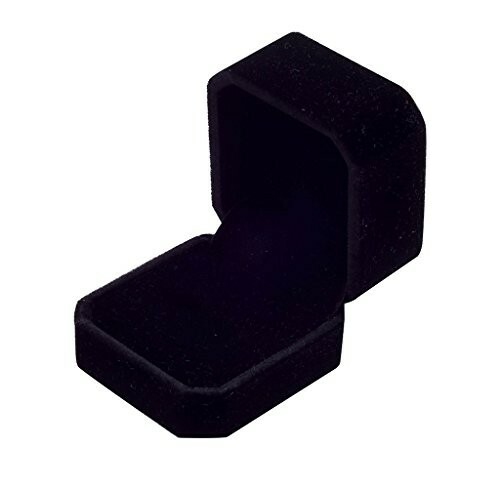 It is rectangularly shaped and the interior is quite spacious; it is divided into four equally sized slots that are pretty deep as well and there are numerous ring rolls too, perfect for safely tucking in all your precious rings! 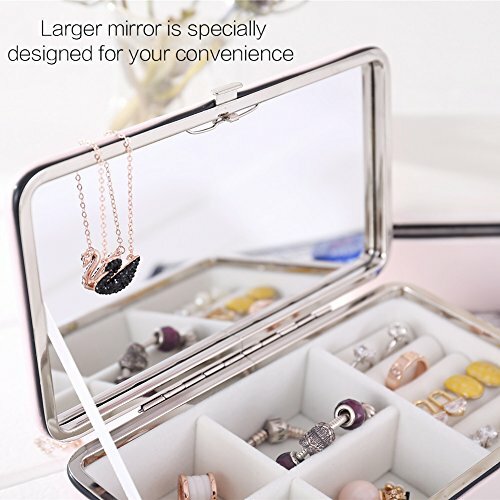 The lid of the box has also been framed with a large and real glass mirror that will certainly come in very handy at times too. 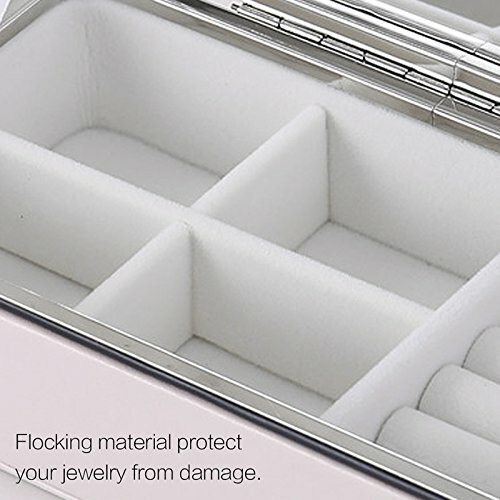 Moreover, the interior has been completely cushioned with fine and silky flocking material that will further protect your precious pieces of jewelry from getting scratched or damaged in any other way. 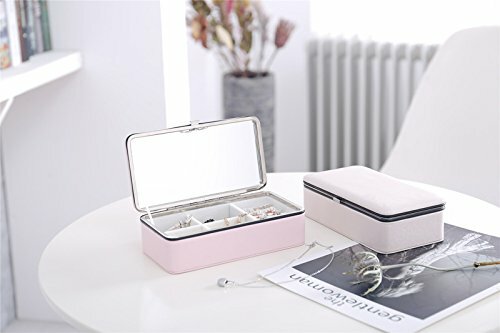 This amazing product will allow you to take all your jewelry anywhere with you on your travels while keeping them completely safe at the same time as well. 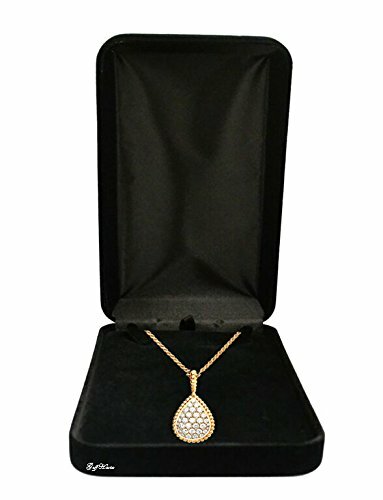 it is suitable for presenting your belongings at home and in any retail shop too, so it will definitely do a most satisfying and professional job! 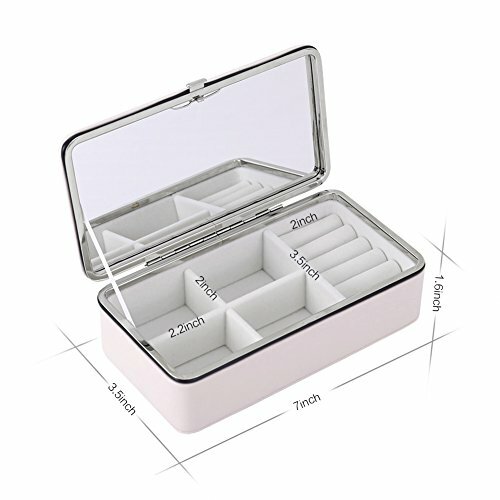 The dimensions of this box are the following: 7.2 * 4 * 2.2 in. and its weight is 0.5 lbs.